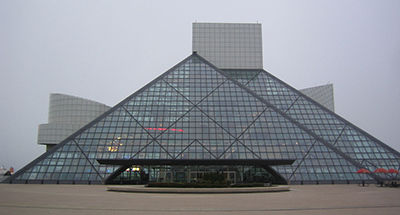 The Rock and Roll Hall of Fame in Cleveland, Ohio, will be the site for a plastics industry networking party on May 8, 2019. Cleveland, Ohio’s iconic Rock and Roll Hall of Fame will be the venue for a major networking party for the plastics industry on the evening of May 8, 2019. 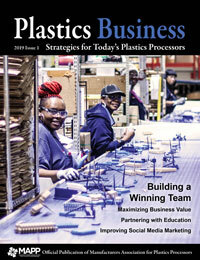 The event will be open to visitors and exhibitors from the plastics extrusion, recycling and compounding tradeshows, which are being held at the nearby Huntington Convention Center on May 8-9. Admission to the Plastics Recycling World Expo, Plastics Extrusion World Expo and the Compounding World Expo, plus their associated conferences, is free. Advance tickets for the networking party cost $20 (less than a standard ticket), and they include exclusive access to all of the museum’s exhibits, plus drinks and appetizers. The party will run from 7 to 11 p.m.
“This fantastic venue will provide a great place for attendees to relax and network after a busy first day at the exhibitions, which will feature more than 230 exhibitors and over 120 speakers across five free-to-attend conference theaters,” said Rita Andrews, head of exhibitions at AMI, event organizer. Located on the shore of Lake Erie in downtown Cleveland, the Rock and Roll Hall of Fame is a short walk from the Huntington Convention Center and neighboring hotels. Housed in an eye-catching structure designed by I.M. Pei, it boasts an extensive collection of popular music artifacts spread over six floors. The networking party is being sponsored by Technical Process & Engineering (TPEI) and Entek. For more information, please visit http://ami.ltd/RRHOF.